SureFire: Simply the BEST Flashlights and WeaponLights! SureFire flashlights and weapon mounted lights combine quality and functionality in a unique way. These products provide unsurpassed power, and each light produces consistent and intense illumination. The flashlights are durable, which means they can take a beating and continue to supply a steady beam of light. Because most items in the line are compact, virtually anyone can benefit from using them. Whether you are a security guard, member of the military, law enforcement official or layperson, you will appreciate the light output these products produce. Women can store the pocket-sized flashlights in purses for an extra level of confidence. Even young children can take advantage of these products by bringing the lights on camping trips, sleepovers or other adventures. When it comes to LED flashlights, this brand stands out from the crowd. The products produce optimum illumination without any rings, shadows or dead zones. Each item supplies numerous levels of light output, which results in a luminous, steady white beam. The power source in each light is regulated by a computer, so you can be certain your flashlight will be reliable in the most precarious situations. SureFire lights are manufactured using high-quality, durable, scratch-resistant alloys. They can absorb shock, and they are rugged enough to withstand the everyday abuse from law enforcement or tactical use. Because they are compact and lightweight, these lights are easy to conceal and transport. They are engineered to emit precise beams of light much greater than their sizes suggest. One of the brand's most impressive lines is the Fury series. These handheld flashlights provide 500-lumen single-output illumination. You can also select a dual-output option. Use the CombatLight with your pistol for a secure grip, or choose the Defender with its sturdy strike bezel for personal defense purposes. If you're looking for a basic handheld that emits a blinding light, opt for the P2X Fury Tactical. 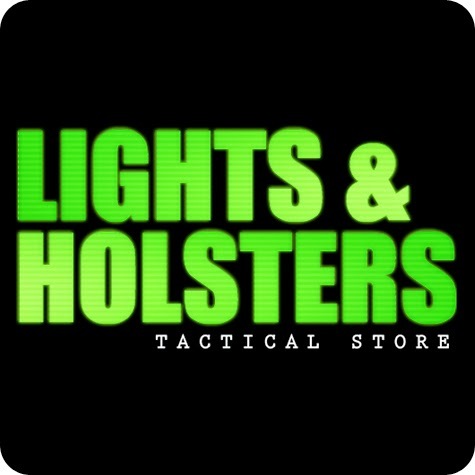 Those searching for superior weapon lights can select from the company's impressive and expansive line of handgun, rifle and shotgun mounting lights. These weapon mounted flashlights are ideal for military personnel, police officers and other defense experts. The most notable products offered by the brand are the handgun weapon lights. You can choose from the X300 or X400 series. The X300 and X300 Ultra generate 170 and 500 lumens respectively. The X400 provides 170 lumens and has a powerful red laser for aiming purposes as well. Regardless of the item you choose, you will be satisfied with the tightness and brilliance of the beams emitted. Each of these weapon lights will mount securely onto your weapon, so you can safely operate the light and gun. The SureFire company has been producing high-quality flashlights for years. This brand is always in the forefront when it comes to lighting technology. Their LED flashlights can handle severe abuse, and bulb replacement is not an issue. You can rest assured, not matter what type of lighting tool you need, the products supplied by this cutting edge flashlight manufacturer will not disappoint. Yes, I agree. A flashlight should be durable and able to produce consistent and intense illumination. A pocket sized flashlight provide extra confidence to women.